We are certified on Pfaff and Bernina, and are a Brother authorized service center. We have serviced more than 16,000 sewing machines since we started our business in 1994. 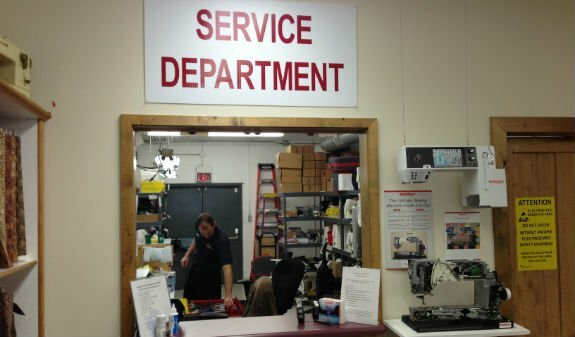 We have 2 full time mechanics and we perform same day service with an appointment, on the day of the appointment, drop off the machine at 10 AM and get it back by 3 PM, if parts are not an issue. We typically get most machines back to the customer in less than a week. We love what we do and would love to get your machine in top running order. We also sharpen scissors, knives, garden tools, and mower blades. Come in and see either Chris or Brad to get a pair of your scissors sharpened for free. Just mention this website page.